Your car’s battery provides the necessary power required to start your car and operate accessories such as the stereo, speakers and lighting. Car batteries are rechargeable and use energy produced by the alternator to charge the car battery as you drive. When a car battery goes flat, you will not be able to start your car until the battery is jump-started or recharged. A car battery can go flat if the lights are left on, doors are left open or other electrical accessories drain its power. When your car’s battery starts regularly going flat, it usually means that the battery is due for replacement. Over time, car batteries lose their ability to hold a charge. This results in them becoming a lot less reliable and failing more often. A new car battery replacement will fix this problem, allowing your car to start without an issue every time. How often should a car’s battery be replaced? On average, a car battery lasts from 3 to 5 years, although sometimes the battery can begin to lose its charging capacity after a couple of years of high volume use with high charging and discharging cycles. Car batteries will last longer if your vehicle is driven daily (and they are not drained too much with the engine off). This is because the alternator is able to keep the battery fully charged while the engine is running. The car is not starting or struggling to start. This is most likely to occur on a cold morning where the battery requires more power to turn the engine over with cold oil and internal parts. After a slow trickle charge the battery tests show the car battery cannot provide sufficient cold cranking current, and the internal resistance of the car battery in too high. When the alternator / charging system and parasitic battery drain tests check out fine but the battery continues to go flat. The car battery’s surrounding case is swollen or bloated. The battery warning light is on. Corrosion on the terminals can prevent the battery from working correctly. When a car fails to start, many people will immediately assume the battery is the culprit. This isn’t always the case, in fact, there are many other parts that can fail, leading to the engine not turning over. Bad alternator – The alternator is what creates the electrical power that charges your battery. If it isn’t working correctly, the battery will not charge and your car may not start. Bad starter motor – The starter motor is a device used to rotate (or crank) the engine. If it is not working, your engine will not be able to begin operating when the keys are turned or start button pushed on dash. Dirty or corroded battery terminals – The negative and positive terminals can become covered in battery residue, which is a white, powder-like substance. This can prevent energy from passing through. 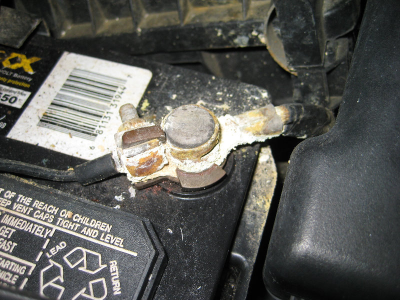 If you notice that the battery terminals are dirty, try to remove the corrosion with a tool such as a screwdriver. Voltage drop in battery cables – if the battery cables have poor connections between the starter motor or chassis (earth) of the vehicle, then the voltage drop may be too high for the car to crank over the starter motor correctly. Faulty ignition switch – The ignition switch activates the main electrical components in your car when the keys are turned. The ignition switch can fail or break, resulting in the car not starting at all. Other engine faults – any other electrical or mechanical faults could allow the engine to turn / crank over but prevent the engine from starting, such as faulty fuel pump, ignition, fuel injection, engine timing, low engine compression and many more. Best to see your local mechanics for diagnosis and evaluation. Is your car struggling to start due to a faulty battery, charging system or starter motor? If so, we can help! 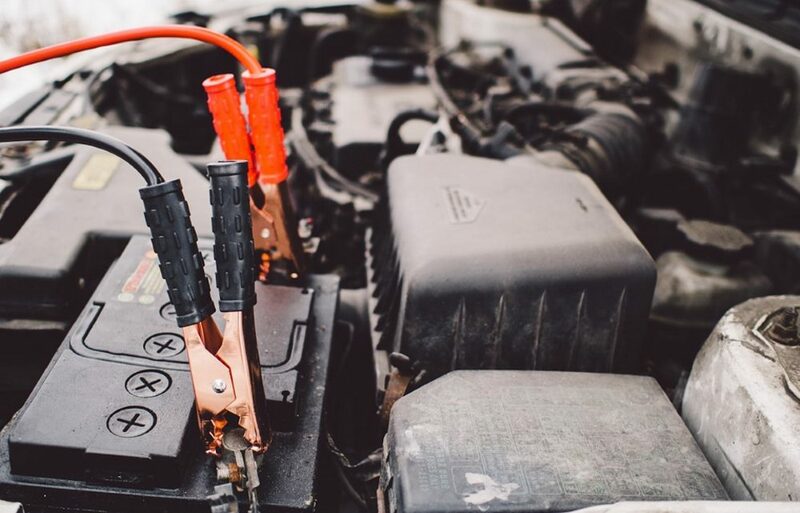 At Grimmer Motors, our team of experienced mechanics can quickly determine if your car’s battery needs to be replaced. If it does, we can install a brand new battery which allows your car to start every time. We can also replace alternators, starter motors, ignition components and any other part that can prevent your car from starting. For car battery changes in Hamilton, contact Grimmer Motors today!